Deleting viber group chats manually on iPhone is actually possible. Messages that appear on the main screen or other forms of messages can be easily deleted. 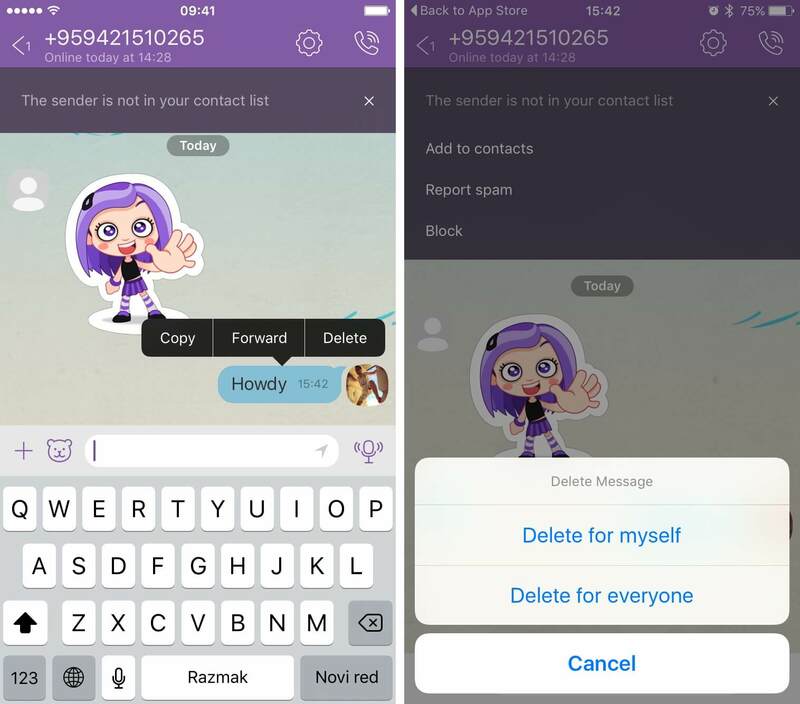 Here is a step by step process of how to delete Viber group chat even though it can still be recovered with the aid of recovery tools thereby making it unsafe. Step 1: Locate the Viber icon on your iPhone and launch it. Step 2: Go into the group where you have some messages to delete. Step 4: Then you need to choose either Delete for myself or Delete for everyone. Click Yes on the confirming window. It is important to understand that "Delete for everyone" option applies to the message that you sent and not the message sent to you by others as these messages will still appear on other people's device. Step 1: Launch the Viber app on iPhone. Step 2: Go into the group that you want to delete and leave. Step 3: Tap on the gear menu at the upper right corner and you will enter the group settings. Step 4: Swipe the group name to the left and tap the red X button. Step 5: Tap Leave and Delete from the confirmation window. iMyFone Umate Pro iPhone Eraser Win or Mac is a tool that performs the function of data erasing and allows you to eliminate any type of data such as messages, videos, photos, contacts, history, chats, third-party apps, etc. It secures your iPhone data thereby protecting your data privacy. 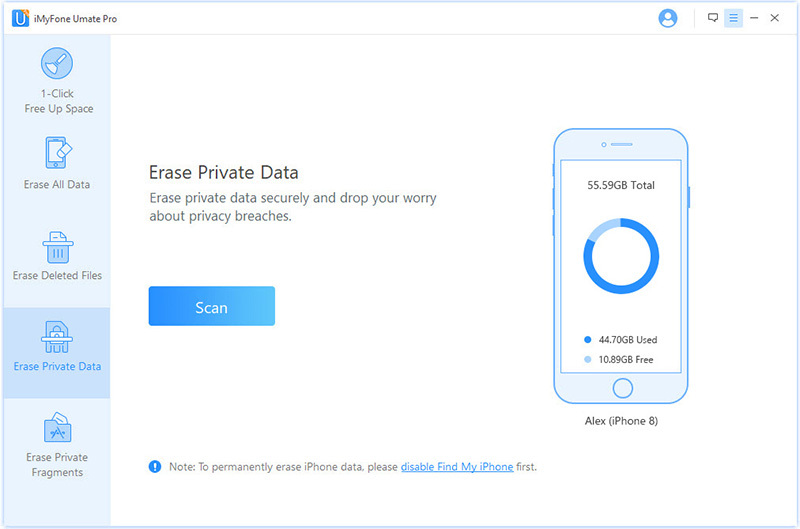 iMyFone can permanently erase data from iPhone and makes data 100% unrecoverable by completely overwriting, while manual deletion just simply remove the data from the storage instead of from device drive which allows deleted data to be recovered easily. Erase Private Data: Preview and select private messages, history, chats, photos, videos and more to permanently erase. Erase Deleted Files: Manually deleted files will be showed and can be choose to erase totally. Erase Private Fragments: Incomplete fragments and traces left by Viber, Snapchat, WhatsApp, Facebook, and 10+ more 3rd-party apps will be found out and completely destroyed. Junk Files: 1 click to clear Viber cache and other app cache from iPhone for free. Step 1: Connect your iPhone and computer together after downloading iMyFone Umate Pro on your computer. Step 2: Choose any erase modes that best suits your need for the available options. Let it scan your iPhone deeply. 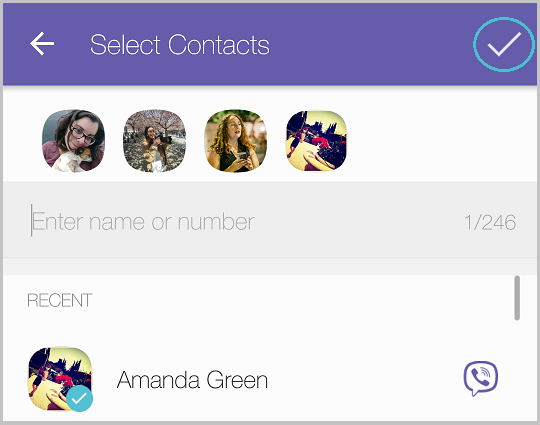 Step 3: Preview and select the Viber chats to erase. Hit Erase button to start. You need to learn the useful tips and tricks for viber group chat in order to chat with family, friends, and relatives efficiently. 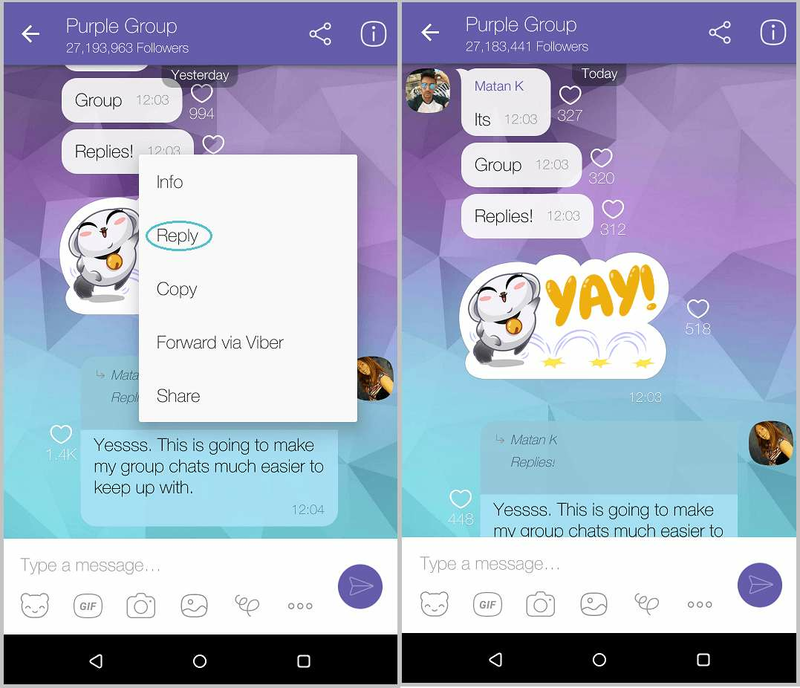 Here are some cool tips you need to know about Viber group chat on iPhone. The Viber group chat allows anybody to easily add members as long as the number of participants does not exceed 250. Click on "Add participants" button that is positioned at the topmost part of your screen or simply locate the chat info screen by swiping left. Choose "Add participants" from the info screen. Select the contacts you wish to add to the group from your contact list. Locate the check mark in the top section of the screen and make a click when you are done. Another important feature is the ability to clearly state the actual message you are replying to in a particularly active group chat. Hold the message you wish to make a reply to. You will notice a textbox with the original comment still positioned on the screen. Include any comment on your choice and select Send. The message you sent will include your reply and the original message. You can also cancel any reply by simply select the x button to exit or cancel. You also have the opportunity to view all videos and images that have been deposited in the group via any means with the aid of the info screen. You can simply access the chat info screen by either swiping left or click the menu button that is located at the top part of the screen and choose "Chat info". You can now access all the media messages that have been deposited and shared in the group. The frequency of times you receive messages can also be controlled because you are a group member. For iPhone, click on the group name located on the screen to. 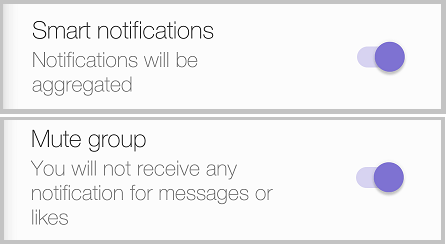 You also need to activate Smart Notifications in order to receive a single notification for any messages received in the group. The Mute group button is also available to disable group notifications. What Happens If You Deactivate or Uninstall Viber? What’s the Difference?